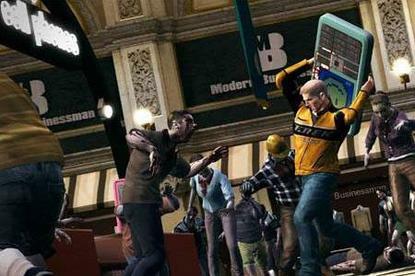 Once Blue Castle Games wraps up work on the highly-anticipated Dead Rising 2, it's become very clear that they won't be going back to another baseball game. Destructoid recently discovered that a job posting for a "Lead Level Designer" on Gamasutra indicates that the company will be shifting over to "an exciting new action project." Further information on the possible direction of the Vancouver-based studio's next game comes in the form of the job requirements, one of which asks that applicants "have your finger on the pulse of open world and FPS games like Prince of Persia, Assassins Creed, Halo, and everything in between." With Dead Rising 2 set to expand upon the framework of the already-impressive original, it's becoming clear that Blue Castle is fast becoming one of gaming's hottest up-and-coming developers. We look forward to finding out more about this upcoming project.